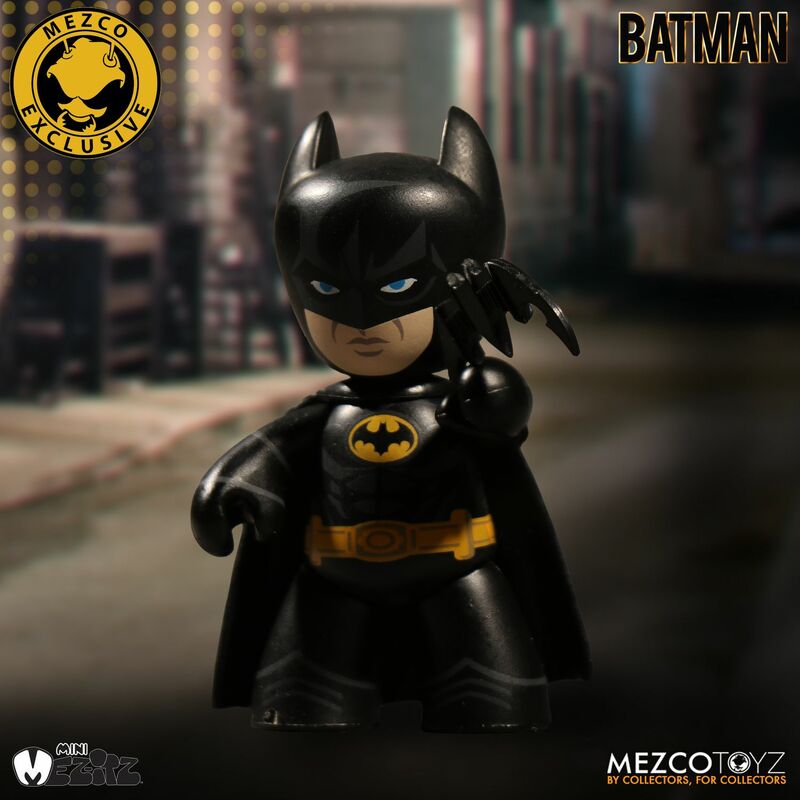 The next Mezco Summer/San Diego Comic-Con 2017 Exclusive is now Available to Pre-Order. 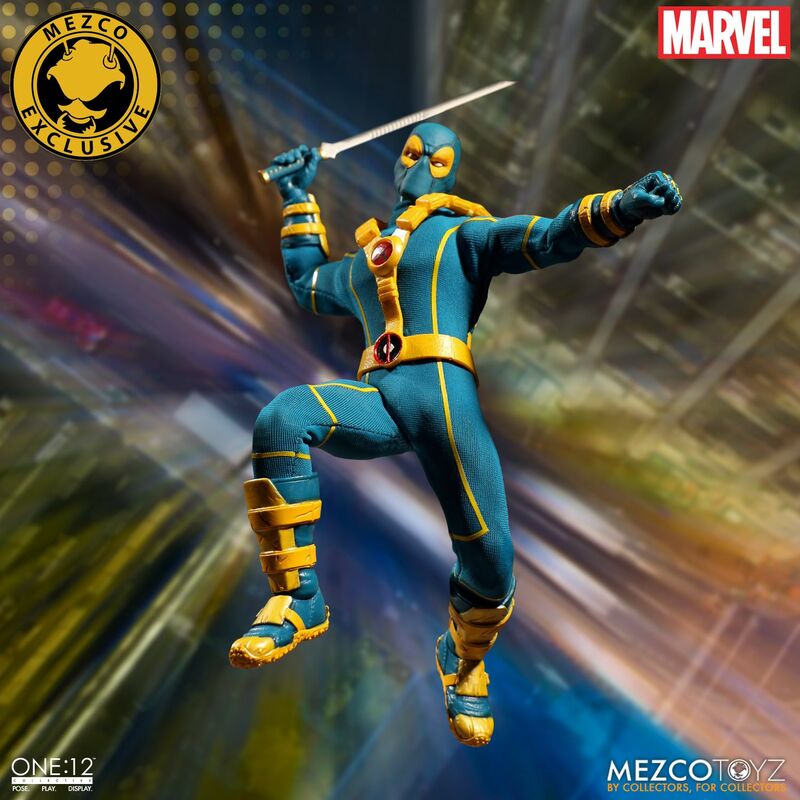 They are releasing an X-Men Version of their Deadpool One:12 Collective Figure! 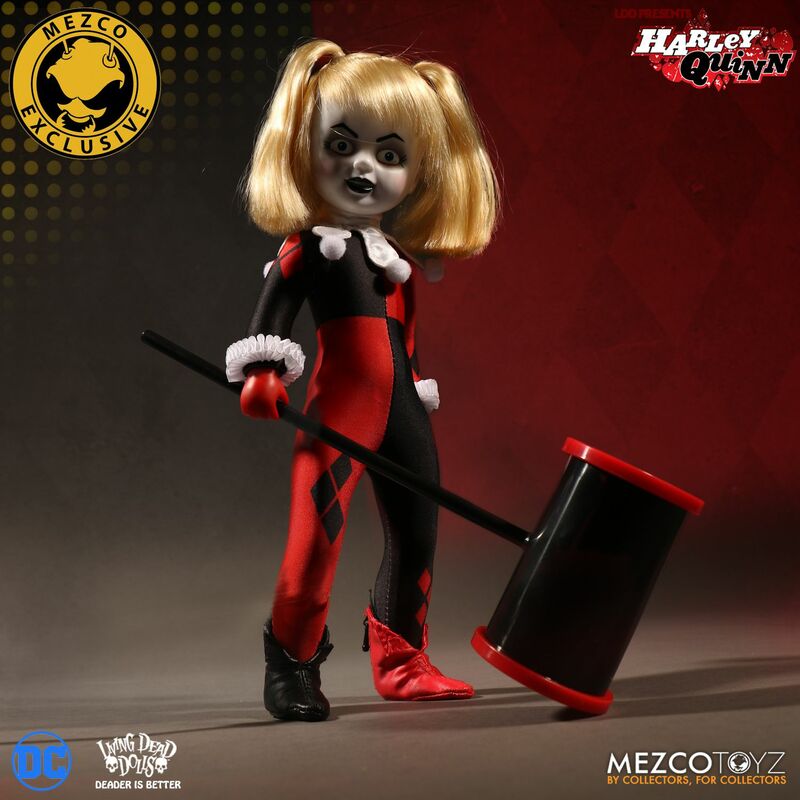 This roughly 6″ tall figure will ship out after San Diego Comic-Con 2017. It’s priced at $80. See details below and all of the new photos after the jump. Wade Winston Wilson, known to the world as Deadpool, is a disfigured and mentally unstable mercenary with the superhuman ability of an accelerated healing factor and physical prowess. 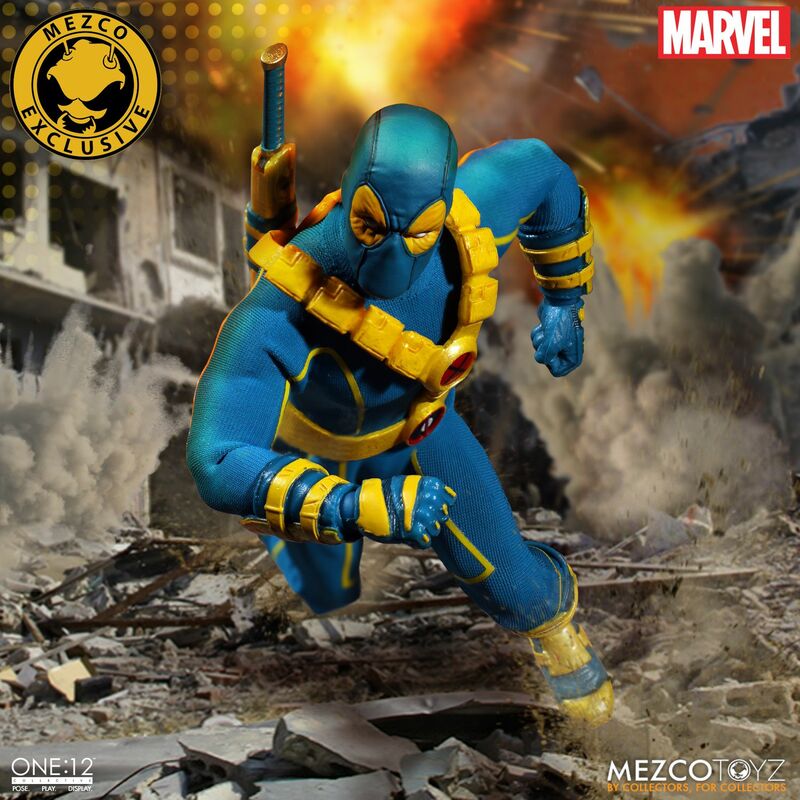 He is presented here in his blue and yellow X-Men outfit. 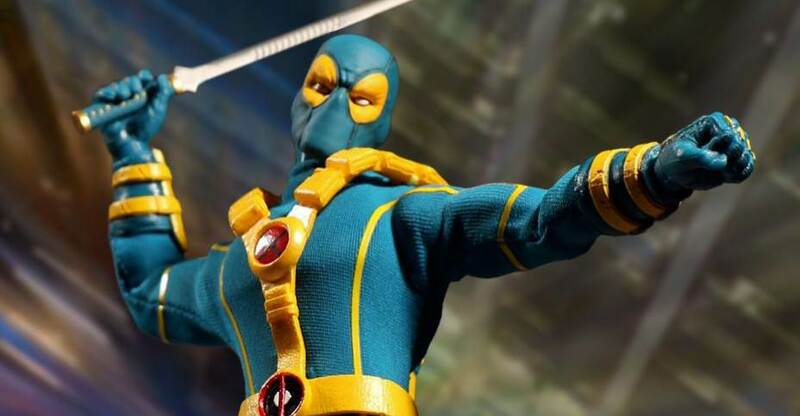 If you think it’s strange to see Wade Wilson in a X-Men outfit, then you are not alone because Deadpool thinks so too! 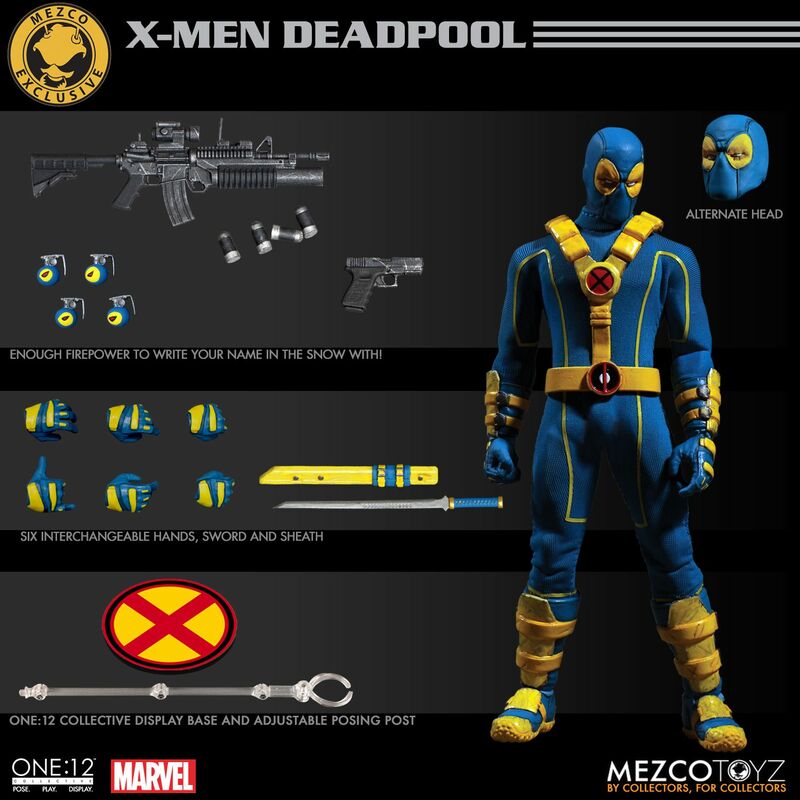 Deadpool tried on X-Men attire as a bet with Wolverine and Beast in the Cable and Deadpool comic series. 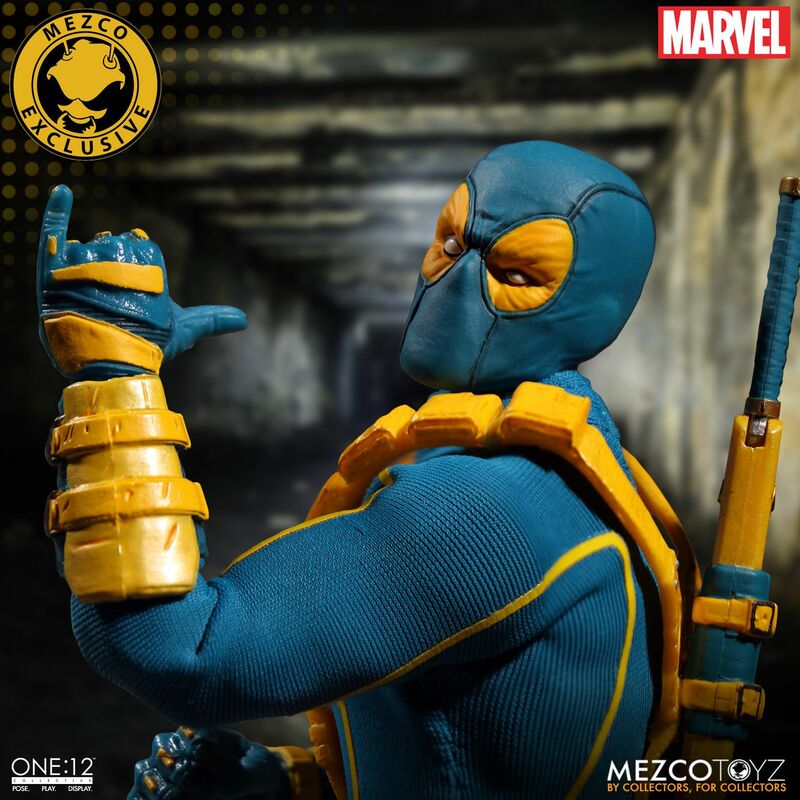 Deadpool,decked out in his blue and yellow X-Men attire, joins the One:12 Collective with a comprehensively detailed outfit and portrait sculptures. 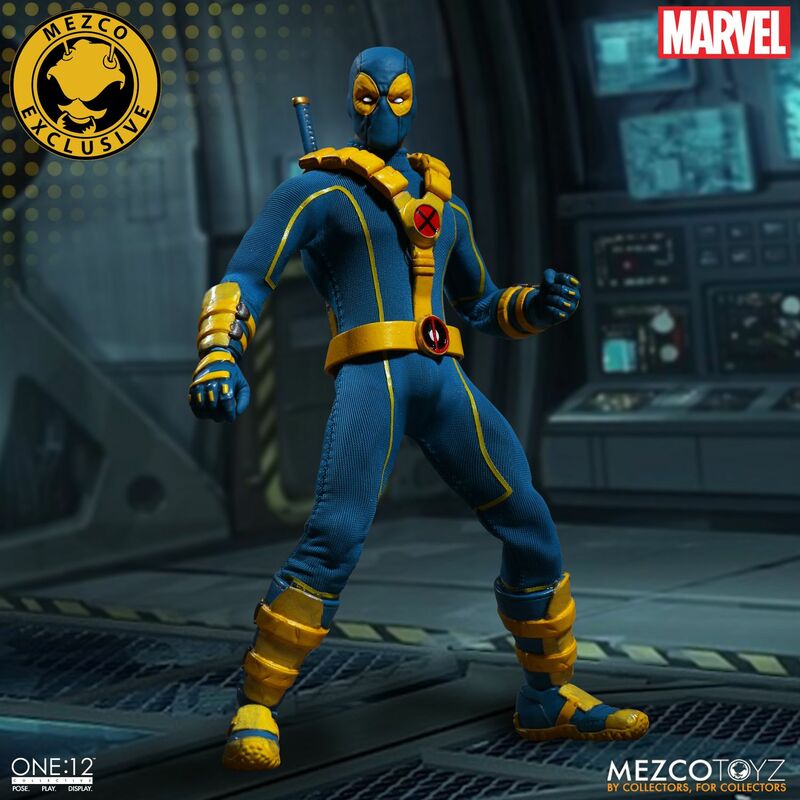 X-Men Deadpool joins the One:12 Collective with a comprehensively detailed outfit and unique character specific accessories. 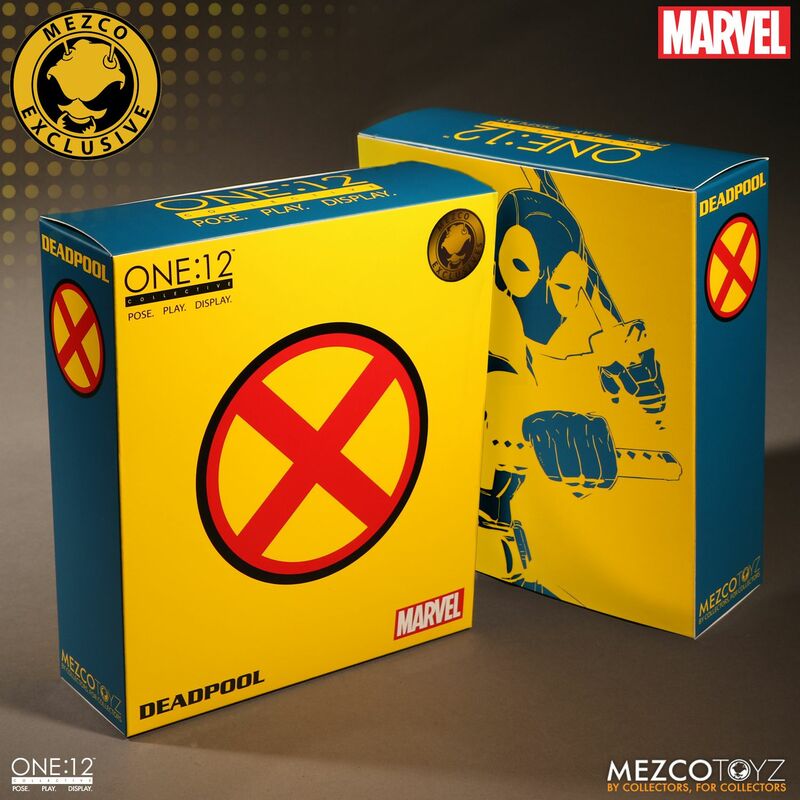 Each One:12 Collective X-Men Deadpool figure is packaged in a deluxe, collector friendly box, designed with collectors in mind, there are no twist ties for easy in and out of package display. It's nice to see them continuing to use their Thundercats licensing for something, but are they ever going to get around to making Wilykit and Wilykat? 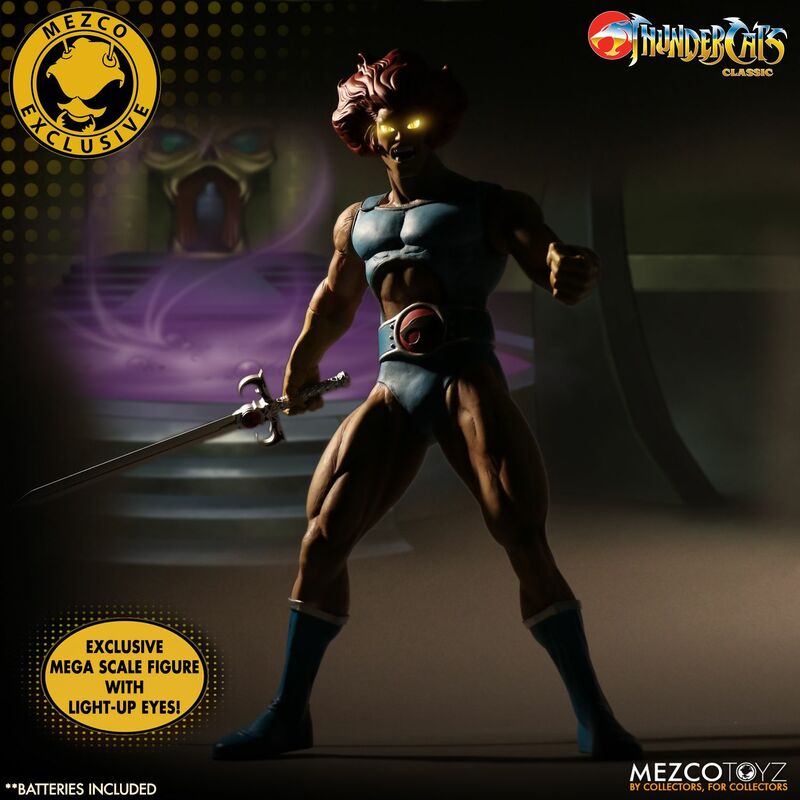 This is what... the fourth version of Lion-O they've done? Amen Ravenxl7. FFS Mezco...fans who bought the first version of Lion-O don't particularly enjoy watching another 34000 other versions with very slight differences being released nor do they need to own them, they need the rest of the team! I'm fine with this being a thing, especially with it being an exclusive. I just really want to see them finish off the team. Most especially because the kids were my two favorite characters back in the day. The light up eyes are the only new thing for this release. this deadpool is hard to look at. 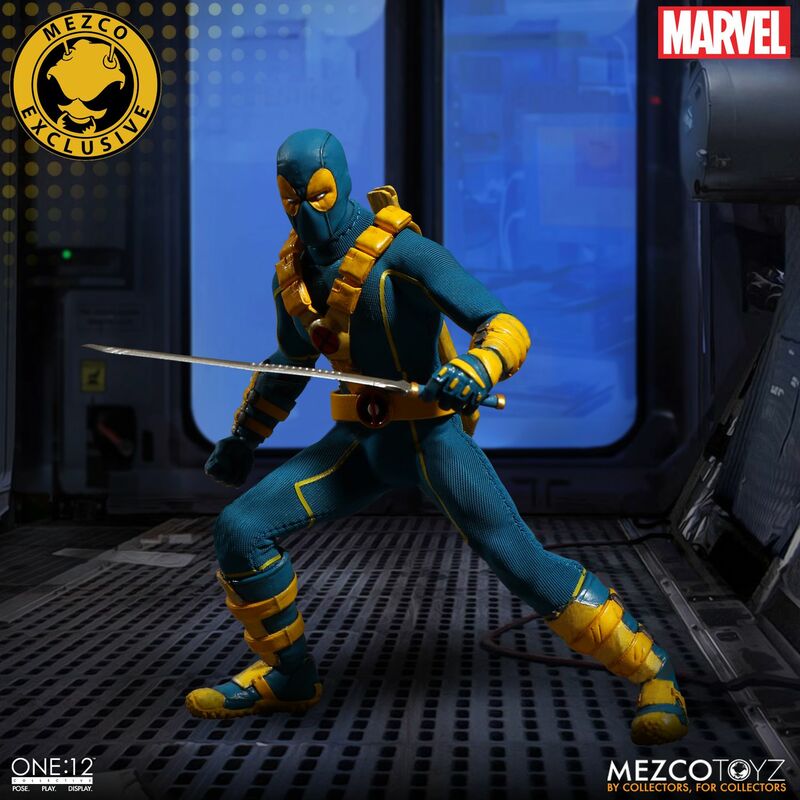 Why doesn't DP have two katanas? 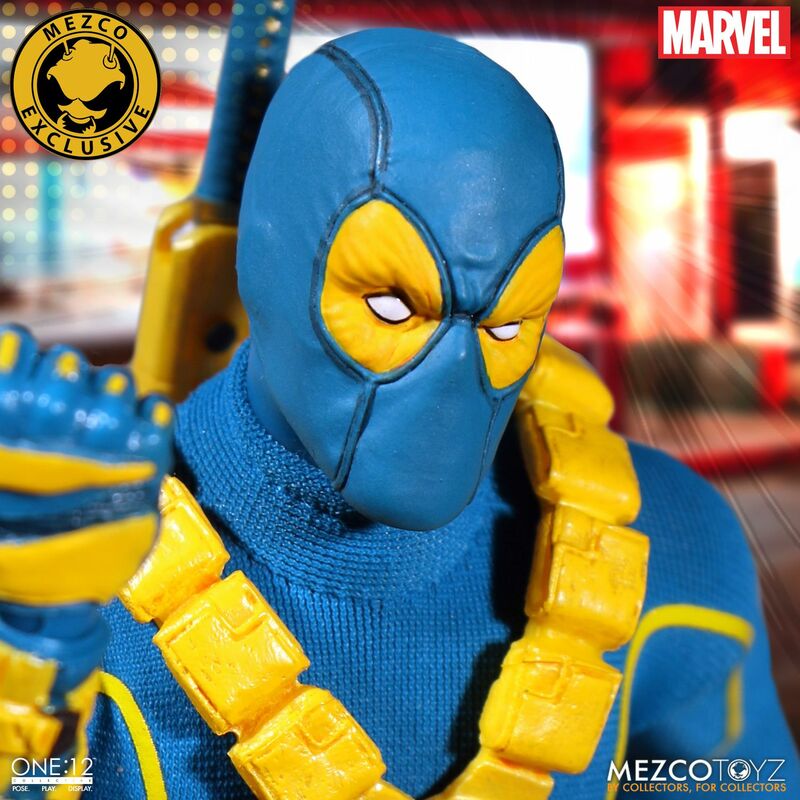 That Deadpool is so bloody stupid I actually want it.